Chrystal is an Advanced Certified Paralegal in Trial Practice and a Florida Registered Paralegal. Chrystal has been employed with Goodis Thompson & Miller, P.A. for the last 15 years as an insurance defense paralegal. Chrystal has served as Paralegal Association of Florida, Inc.’s Director at Large and currently serves on its Professionalism Committee. 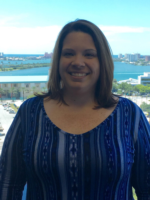 Chrystal is also a former President of the PAF, Pinellas County Chapter and is currently serving as Director. Chrystal loves to spend time with her family, especially her 3 grandchildren, is an active member of the Krewe of Agustina de Aragon where she currently serves as its Bylaws and Standards Co-Chair and volunteers with The Kind Mouse, helping to feed local hungry children. Glenda graduated from St. Petersburg College, with a General Associate in Arts (AA) Degree and later obtained an Associate in Science (AS) Degree from the Legal Assisting Program. 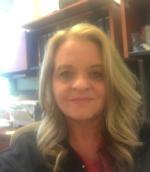 She is an Advanced Certified Paralegal in Litigation, a Florida Certified Paralegal and a Florida Registered Paralegal. Glenda currently is employed with Baskin Eisel, Attorneys at Law and is a litigation paralegal focusing on fiduciary litigation. Glenda has worked for Attorney Hamden H Baskin, III, Esq. for over 27 years and has been in the legal field for 30 years. Glenda is the former President of Paralegal Association of Florida, Inc. – Pinellas Chapter, served as recording secretary, and currently serving as Treasurer. Additionally, Glenda has served on the Florida Bar Grievance Committee. Kaila graduated with her Bachelor’s in Paralegal Studies from St. Petersburg College. Kaila worked as a paralegal for about ten years before starting her own consulting firm, Echtelo, LLC, and her blog, Proactive Paralegal. Now she helps law firms create an organized and paper-efficient office that results in a more effective use of space and time. She assists her clients with implementation, training, and support along the way. 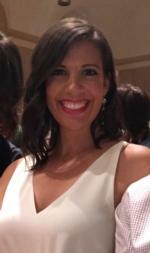 Kaila is also an Adjunct Professor at St. Petersburg College teaching Law Office Management. Kaila is a member of the Continuing Education Committee for the National Association of Legal Assistants (NALA) and a contributing member to NALA’s magazine, Facts & Findings. Katie graduated with a Bachelor’s degree in Criminal Justice from the University of Central Florida, and is a Florida Registered Paralegal. She has worked in the legal field for over ten years, with a concentration on intellectual property law. Katie regularly helps clients enforce and defend their patents, copyrights, trademarks, and trade secrets. Anona is a Florida Registered Paralegal. She graduated in May 2013 from Saint Petersburg College with a Bachelor of Applied Science in Paralegal Studies. She was presented with the Outstanding Student Award for the Upper Division Paralegal Studies program. Anona joined Larson &amp; Larson, P.A. in May 2013. She provides litigation support for intellectual property matters in the federal courts, as well as assisting with the preparation, filing, and prosecution of US and foreign patent applications. She currently serves as a Committee Member for St. Petersburg College Legal Studies Advisory. Cara graduated from St. Petersburg College with an Associates in Science in Paralegal Studies (AS) and Bachelor of Applied Science in Paralegal Studies (BAS). She is an Advanced Certified Paralegal (ACP) in Family Law, a Florida Certified Paralegal (FCP) and a Florida Registered Paralegal (FRP). Cara currently works for Chisholm and Beach, PLLC, and has been in the legal field for over 15 years. 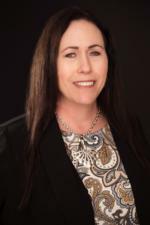 Cara is a former Adjunct Professor at St. Petersburg College, member of National Association of Legal Assistants (NALA), Board of Director with Paralegal Association of Florida, Inc., Clearwater Bar Association and St. Petersburg Bar Association. 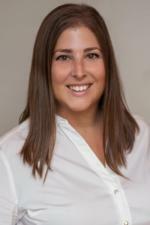 Ellie graduated from Kaplan University and is an Advanced Certified Paralegal in Criminal Litigation, Trial Practice, Trademarks, and Discovery. Ellie has previously worked as a paralegal in criminal litigation and fiduciary litigation and is currently working as a corporate paralegal for in-house counsel at an IT Security company in Clearwater, Florida. 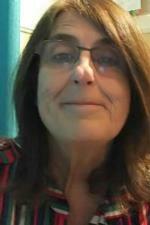 Ellie is the PAF Pinellas immediate Past President.